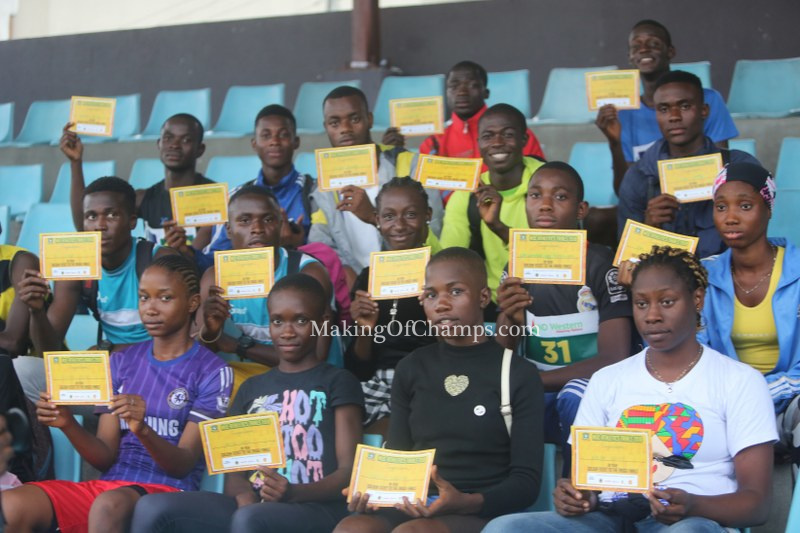 18 athletes earned Golden Tickets to the Making of Champions (MoC) Closed Trials Finals in Enugu this weekend. 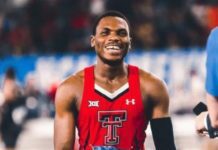 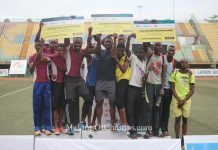 The first leg of the Making of Champions (MoC) Closed Trials kicked off at the Sports Complex of the University of Port Harcourt in Rivers State on Monday, where about 100 athletes converged to battle for Golden Tickets to the Enugu Final. 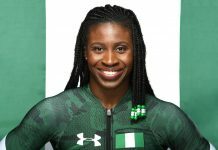 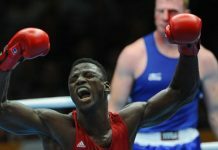 Some of the athletes came from secondary schools in Imo and Abia States respectively on the morning of the competition, and wasted no time in getting down to business alongside their counterparts in Rivers State, with a total of 18 athletes eventually getting Golden Tickets to the Enugu Final on Saturday. 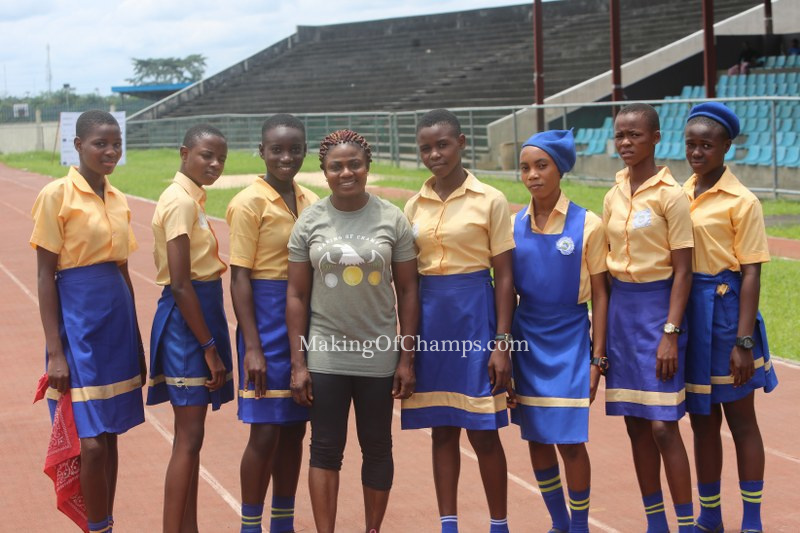 MoC Coach and Olympic Silver medallist Glory Alozie poses with students from her alma mater, Saint Joseph’s College, Aba. 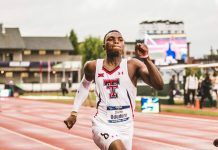 Students from Saint Joseph’s College Aba, the alma mater of Olympic Silver medallist and MoC Coach Glory Alozie, were among the young athletes who participated in the Trials where they competed in the 100m, 200m and 400m. 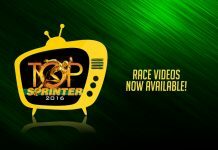 Primary school students were also not left out of the contest. 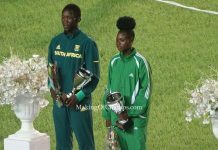 The duo of Chigozie Nmecha and Somtochukwu Onyejiuba of Dominion Montessori Primary School in Aba, aged 10 and 11 respectively, brushed aside the threats of their older counterparts to compete in the U-15 category of the Boys’ 100m. 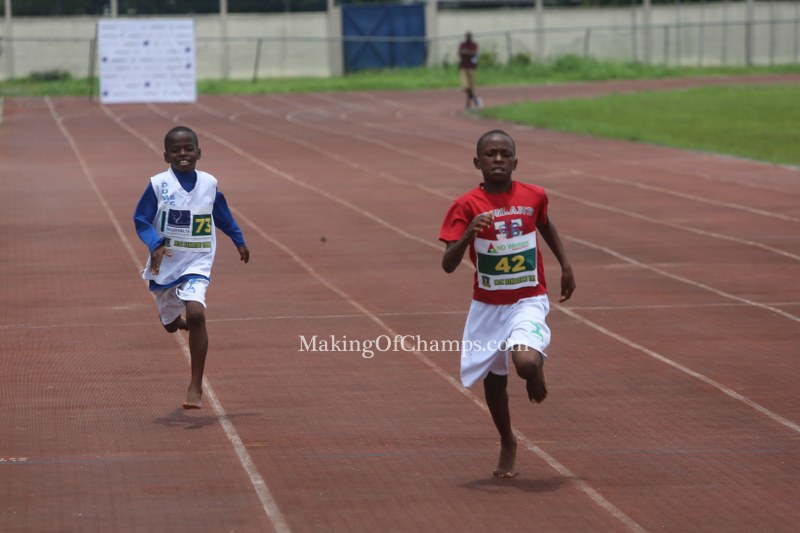 12-year old Hope Iyayi also held his own to finish 6th in his 100m heat. 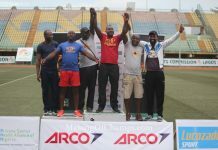 Chigozie Nmecha (L) and Somtochukwu Onyejiuba (R) rubbed shoulders with their older counterparts while competing in the Boys’ U-15 category of the 100m at the MoC Closed Trials in Port Harcourt. 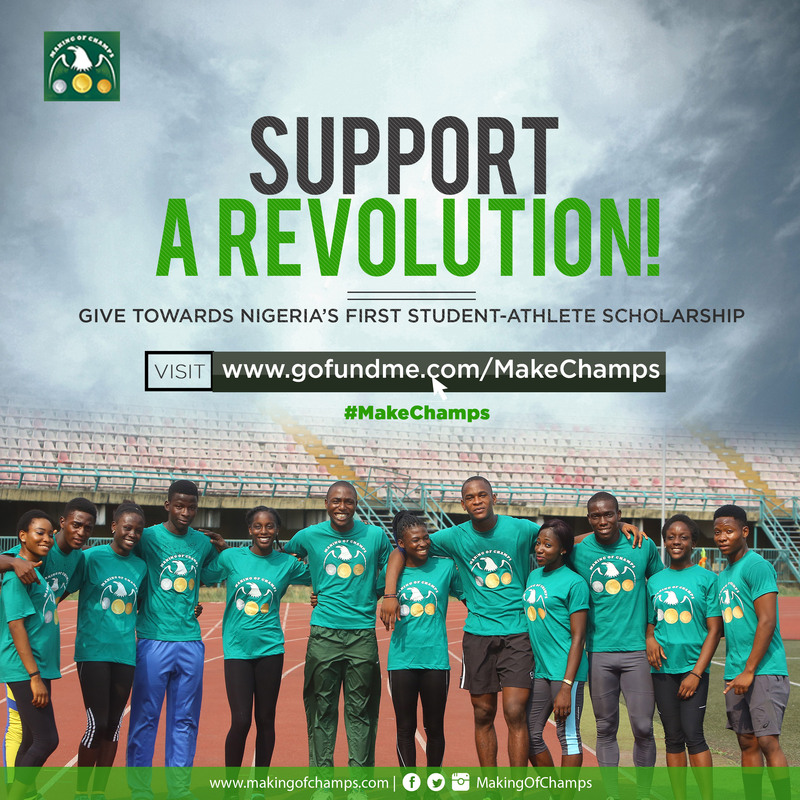 The next leg of the MoC Closed Trials will hold in Government College in Ughelli, Delta State, on Wednesday, 26th September, while the third leg will hold at the Nnamdi Azikiwe Stadium in Enugu on Friday, 28th September. 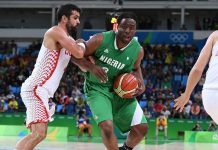 The Finals will come up on Saturday, 29th September in Enugu. 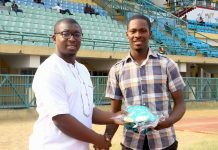 About 400 athletes registered for all three legs of the MoC Closed Trials, and 50 of the most promising Athletes from across all three locations will be sponsored to Enugu for the Finals of the Trials! 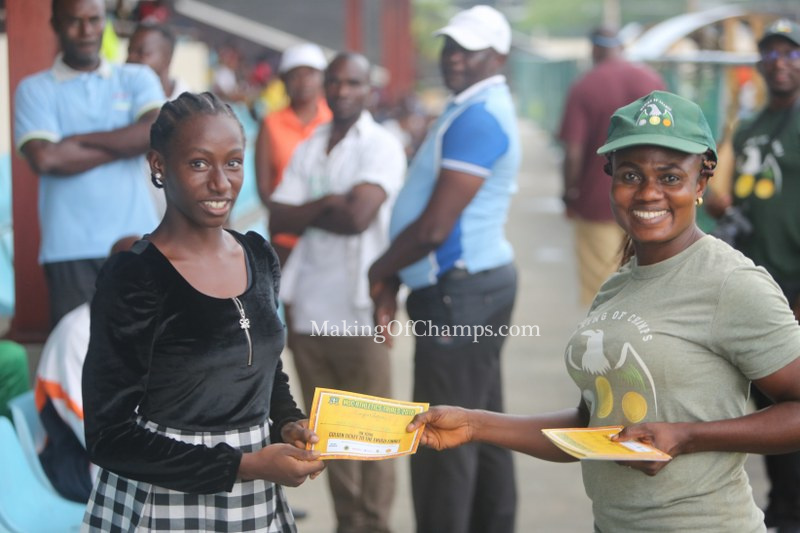 Amblessed Okeudo receives her Golden Ticket from MoC Coach and Olympic Silver medallist Glory Alozie.